Ms. Alia Zawacki joined SMS in September 2015. As Middle Years Principal she plays an integral role in heading up the Grade 5-8 teaching faculty, curriculum planning, timetabling, connecting with parents, and working with the school’s leadership team. Ms. Zawacki’s favourite aspects of this role are the opportunity to collaborate with a team of dedicated teachers and any opportunity to interact with the students. Ms. Zawacki’s connection with girls started from involvement in all-female sports, from synchronized swimming, basketball, waterpolo and volleyball as a child, to 5x national rowing champion, to coaching girls sports teams. She loves the all-girl atmosphere at our school and the unique programming opportunities it affords. Ms. Zawacki holds a B.Ed and Masters in Education from UVic’s department of Curriculum and Instruction, where she now teaches as a sessional instructor every fall. 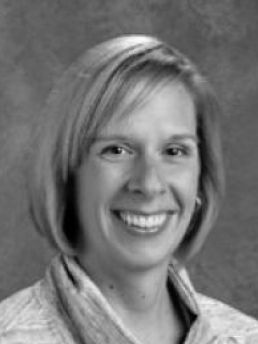 Prior to taking on educational leadership roles, Ms. Zawacki taught Social Studies, French, Physical Education and has led rowing academies at other independent schools. Recently Ms. Zawacki contributed to shaping wellness in schools across BC by sitting on the province-wide committee writing the new K-12 Physical Education and Health Curriculum for the BC Ministry of Education. Her love and commitment to wellness and active living extends beyond her professional pursuits, though, as a self-professed “dabbler” in triathlon, who enjoys continually learning, and pushing herself through running, cooking, travel, and more.